A new challenge brings excitement. Chasing and experiencing something brand new for the first time brings both excitement and a bit of fear. 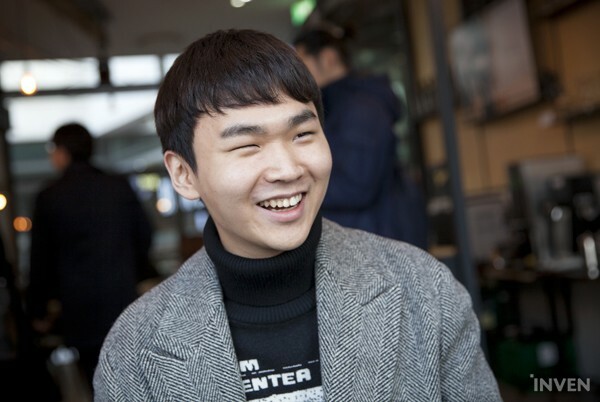 For the upcoming season, GorillA took on a new challenge; he'll be competing in the European league starting 2019. 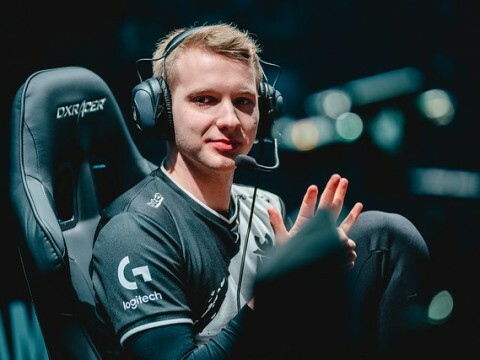 As the support player for Europes' Misfits Gaming, GorillA will be competing in the LEC. He'll spend the new year with his new teammates -- in an unfamiliar environment. What's on GorillA's mind? 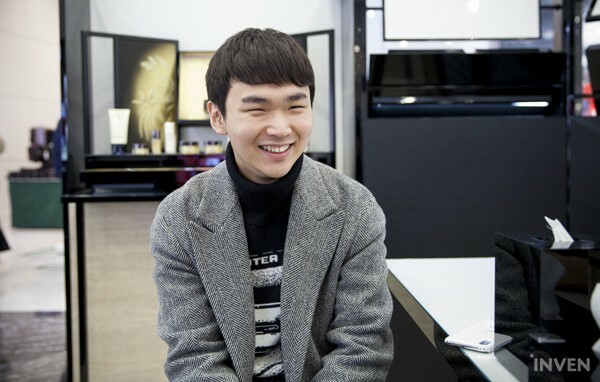 We were curious to find out why he decided to leave Korea and what he's expecting for 2019. We wanted the interview to be somewhat light-hearted, so we decided to go shopping with GorillA before he sets out on his travel to Europe. By browsing goods together at a shopping mall in Shin-Do-Rim, Seoul, our team was able to take a deep look inside GorillA's heart. We are curious as to why you left your previous team. There was always a curse whenever I played. I played on Najin for 2 years, and on ROX Tigers for 2 years. I wanted to break that "2-year" curse I carried, but I ended up switching teams again. Recently, I spoke with head coach NoFe. He told me this: "If a player stays in one team for too long, he becomes stagnant water. Human beings need to experience 'change'. Humans are adaptive animals, staying in one place for too long will bring too much sense of security; in turn, causing complacency." I left Kingzone DragonX with complicated emotions. Starting summer, your team began underperforming. Did that play a part in your departure from KZ? I can't say that it didn't. Through my experience as a support player, I truly believe that I have something that others don't. That something is my ability to look after my teammates; to care for them. This may seem like an excuse, but I wasn't able to fully utilize that strength in recent times; and in turn, we [KZ] began underperforming. That's when I began considering the option of switching teams. 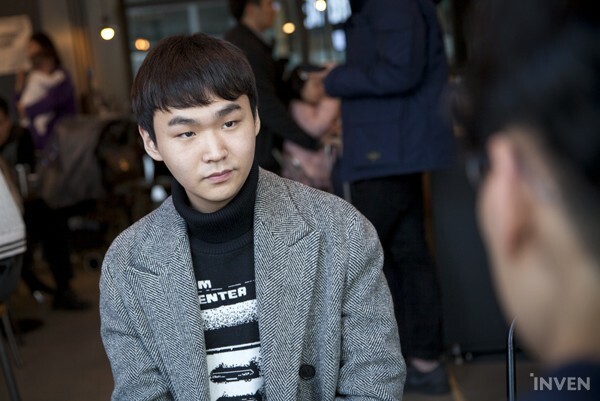 I know that a lot of people saw me as an underperforming player, so I had strong urges to stay in Korea to redeem myself. I didn't choose to go to Europe because I wasn't confident in doing that; I simply wanted to face a new challenge. I was also impressed with how Misfits approached me; they expressed their desire to play with me very strongly. They gave me a warm welcome, a type of welcome that is hard to receive in Korea. Can we conclude that you wanted a new challenge after having experienced a disappointing summer in Korea? The first thing I tried to do was pinpoint the problem. I talked with head coach Hirai regarding this topic as well. In the end, I concluded that 'I wasn't able to utilize my unique strength as a player'. In 2018, I began losing my confidence, and so, I wasn't able to bring a positive influence to the team like I used to. The thought that I'll become stagnant if I stay in one place for too long made me lean towards changing to another Korean team. At this point in time, I wasn't expecting myself to head to Europe. Before continuing with the interview, our team went shopping with GorillA as promised. Moving from place to place, we tried on a few clothes and even paid a visit to a cosmetics store. We continued our conversation as we shopped. We began asking "less serious" questions. Do you use shopping as a tool to relieve stress? Honestly speaking, I rarely leave the teamhouse, even during vacations. (Laughs) When I'm stressed, I shop online. When I purchased cosmetics, I often shared them with my teammates. For personal cosmetics such as 'foam facial cleansers', I wasn't able to purchase one for each individual, so I always ran low on those. (Laughs) So I was an avid internet shopper. You must enjoy the feeling of excitement when receiving a package. "It's finally here!" (Laughs) It's the little things in life that I really enjoy. Are there other players on Kingzone that enjoys shopping? What do you look for in clothes? Online shopping in Europe may not be as big as Korea. Going to the convenience store alone seems like it would be fun in Europe. A lot of countries overseas tend to have stores that sell a multitude of brands. Visiting and browsing those stores could be fun. I heard Europes' toothpaste and hair loss shampoos are great. After a bit of shopping, we settled in at a local coffee shop. 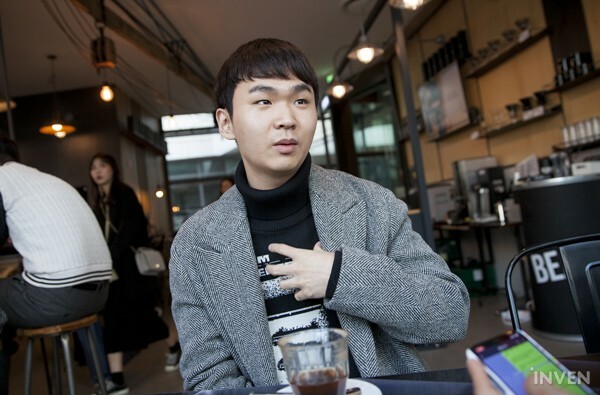 What's on GorillA's mind regarding his move to Europe? How did he approach his farewell with PraY? What's his opinion regarding his new European teammates? We were curious about a lot of different topics. With time, the waiter brought our drinks, and the interview continued as planned. You mentioned that Misfits expressed a strong desire to pick you up. How did you feel about that? 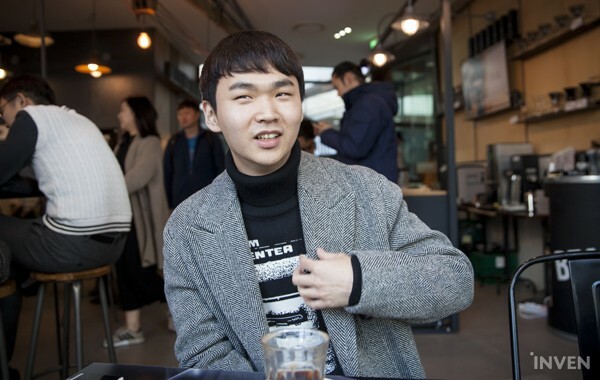 In the LCK, the staff of a team moves actively during the offseason. The players in a team simply state whether or not he wants to play with a certain player or not. That's why negotiating with Misfits brought about a brand new experience. When I was under negotiation with Misfits, not only did the team owner speak with me, but I spoke with the players as well. There were two Skype calls: one with the owner and manager, and another with the players. Eventually, when the players heard that I would be playing with them next year, they were all happily surprised. I was respected the most as a player when GE Tigers had formed quite a time ago. At that time, some people even said, "why would GorillA go to such a team? He's so much more capable." However, after that, people started looking at me differently. My individuality was overshadowed by the "PrillA" bot lane. The way Misfits treated me reminded me of the time when I joined GE Tigers. They welcomed me with open arms. That's when I noticed a large difference between teams from Korea and the teams from foreign leagues. Who on Misfits was the happiest when you decided to join? This really moved me. As I mentioned before, I had strong urges to remain in Korea. I didn't care about money. Even when I was speaking with multiple teams, I was never the first to bring up that topic. When Misfits approached me in this warm manner, I was really moved. If I had joined an LCK team from the many I had spoken with, I would've just become 'one of the many'. I thought, maybe if I go to Europe, I'll receive more recognition. It's these types of things that made me lean towards joining Misfits. You're parting ways with PraY, a partner of four years. Whenever I left a team, I was always the last to leave. I wasn't as sad when I left ROX Tigers for Kingzone as I still had PraY with me. However, this time, I truly felt that it was the end. When I saw PraY packing his things to leave the Kingzone teamhouse, I burst out in tears. I even sent him a wall of text. Messages such as, "I hope only success finds your way. Let's meet often." I was extremely sad that we've parted ways, but we'll both be facing a new challenge, so it's fine. The thing I'm worried about playing with Hans Sama is this: PraY and I relied on each other, and during feedback, we were very respectful to each other. Misfits told me that Hans Sama has great mechanics but lacks the eye to see the game at a broader angle. They even told me that he's nicknamed "the potato" within the teamhouse. (Laughs) The owner told me that's why Hans Sama and I will work well together. Who is PraY to GorillA? Both of us were able to take something positive from each other. 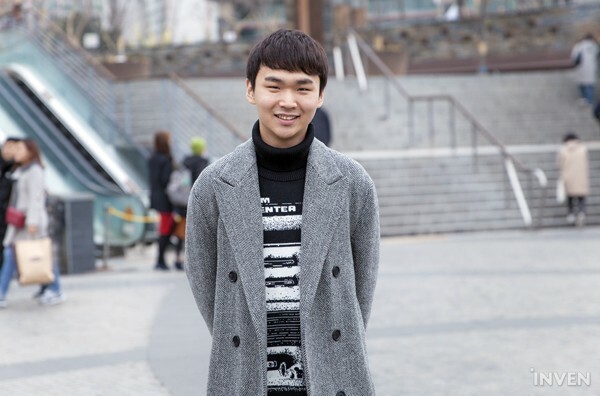 When I joined GE Tigers, PraY was on a break from competitive gaming, so in truth, I persuaded him to join with me. When we joined Kingzone DragonX, it was PraY that persuaded me. I believe that PraY has a "unique" playstyle. Many people believe that the most important stat of a DPS role is 'damage dealt to champions'. In reality, you need to look at the game at a broader angle; you need good game senses. In that aspect, PraY is an incredible player. The way he plays Ashe and Jhin proves this to some point. Champions like the mentioned two are extremely difficult to play if you lack game senses. There was a lot to learn from him. I truly believe that I was blessed with the best ADC players all throughout my career. Zefa was an ADC player that fostered me into the player I am today. PraY was a player that had a great personality and treated me with great respect. He was also the player that unlocked my potential as a good support player. I believe Hans Sama will soon join that list. This time, you'll be the one looking out for your ADC player. My biggest worry is English. As a support player, communication is of utmost importance. The ADC and support players in a bot duo often see the game differently. As for PraY and I, we talked about even the smallest of details regarding the laning phase. In order to continue to do that in Europe, I need to be able to fluently communicate in English. I'll probably struggle to make good results early on. Language barrier is something that can't be overlooked. Once I get a good grasp on the language, I'll be able to utilize my unique strength. I'm not a support player that makes flashy plays on stage. I'm a support player that oils up the team for flexibility through communication. Although Hans Sama is made fun of by being called a potato, he's still seen as an S-tier ADC in the LEC. How can someone be regarded so highly if he is lacking the "eye to see the game at a broader angle"? I know that we'll be able to do well together. You'll soon be heading to Europe. I feel that you'll drift further away from the Korean fans. My motto as a professional player is this: "I'm here because the fans are here." I always keep in mind to avoid saying anything that can disappoint the fans. I always keep in mind that if the fans like me, so will the esports organizations. That's why I always try to communicate with the fans as much as I can. Fortunately, Misfits is very open-minded about fan communication. So I think that I'll be able to communicate with both my Korean and European fans. Misfits even created products specially designed for Korean fans. They have mousepads with Korean words printed on it. It has a cool font to it, too. (Laughs) In the welcome video that they made for me, they included the Korean word, "환영," in the thumbnail as well. They were very considerate to all of their fans. I was very thankful. You'll likely get a lot of new European fans as well. I remember the time I played at a World Championship that was held in Europe. We were losing to SKT T1 during the Finals. Since SKT is very famous, they had a lot of fans cheering for them. But during a pause, I heard a very loud chant that cheered for us. The game was ongoing, so I needed to keep my emotions in check. However, when I heard that chant, all sorts of emotions enveloped me. I'm excited thinking about hearing that chant again when I play in the LEC. Do you have anything you want to say to your new teammates on Misfits? Thank you for welcoming me. The players' enthusiastic approach helped me make this big decision. To return the favor, I'll do my very best. I want to hurry and learn English, and share a lot of information regarding the game. As warm as the welcome was, I'd really like for them to see me as a Misfits teammate and work together. While going over the deal that Misfits proposed, there were a number of people that helped me with the contract. Locodoco talked with the team for me and offered free translation/interpretation for the contract signing. I want to thank him through this interview. The above three allowed me to join Misfits without a problem. I want to thank Locodoco, KEA&Partners, and Joyluck one more time. Very good article ! 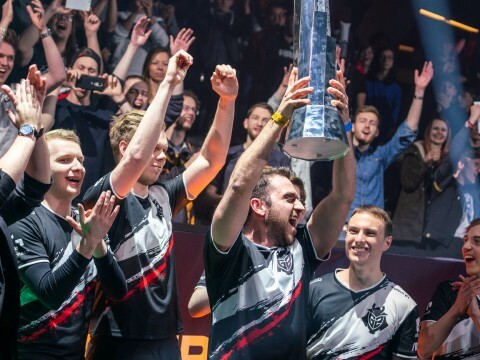 As a Misfits fan since they were in the EU CS, 2019 is definitely the most exciting year. I'm excited about Gorilla and S0az joining. As always this team has the potential to be a contender to the spot of number 1. FIGHTING!